Turkey has topped the list of the most expensive real estate buyers in the country in 2018, ranking Iraqis as the fourth consecutive year at the top of the list, according to statistical data released on Wednesday. According to data released by the Turkish Statistics Agency, Iraqis topped the list by buying 8205 properties, while the Iranians came second with 3652 properties, followed by the Saudis with 2,718 properties and the Russians with 2297 properties. The Kuwaitis bought 2199 properties last year. 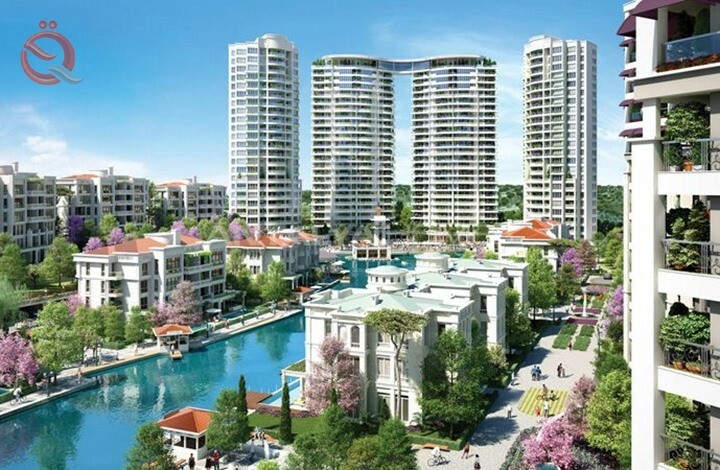 The data showed that sales of real estate to foreigners in Turkey recorded a rise last year by 78.4% compared to 2017, indicating that the total number of sales amounted to 39 thousand and 663 properties in 2018. The city of Istanbul was the most Turkish city for the sale of real estate to foreigners in 2018, the number of properties sold 14 thousand and 270 properties, followed by Antalya B7938 and Bursa by 2720 and then Ankara with 2133 properties. With regard to the real estate sales in Turkey in general, the data indicated a decline during the last year by 2.4% compared to 2017, where sold 377,375 and 398 properties throughout Turkey. According to the data, Istanbul ranked first among Turkish cities most selling properties last year with 234,000 and 55 properties followed by Ankara with 131,161 properties and Izmir with 75,000 and 672 properties.